Acanthus hungaricus is a fantastic architectural plant that always captures attention in the display garden. Hungaricus is the hardiest of the Acanthus varieties and has wintered for many years in our display garden and self seeds easily. The dark green, shiny foliage is deeply lobed. The large, spiny foxglove-like flowers are white with purple bracts and appear in July. They are very long lasting and give way to attractive seed heads. 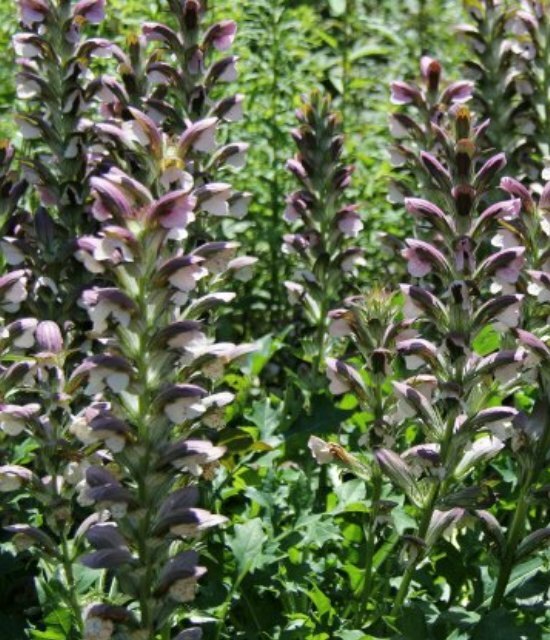 Acanthus hungaricus can be used in perennial or grass borders and can also be incorporated into mixed borders. This plant takes a couple of years to establish in the garden. Once it settles in it grows vigorously. 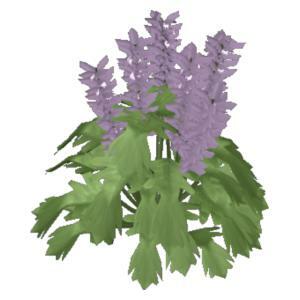 Once established Acanthus hungaricus is an easy care drought tolerant perennial. It will take several years to establish an attractive clump and resents disturbance. It thrives in rich, well drained soil in full sun to partial shade. It is considered quite shade tolerant although we have not tried it in heavy shade.